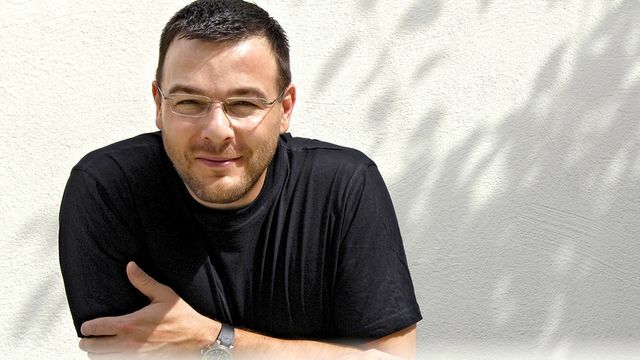 Countertenor Andreas Scholl performed with the English Concert Sunday at Jordan Hall. Such an event occurred when those words were first set to music by Henry Purcell in the seventeenth century, and did again, in an elegant performance by the English Concert Sunday afternoon at Jordan Hall. The estimable English Concert, founded in 1972 by Trevor Pinnock and now led by Harry Bicket, was joined by the extraordinary German countertenor Andreas Scholl for this concert, which was a joint presentation by the Celebrity Series and the Boston Early Music Festival. The program was drawn mainly from two “semi-operas” by Purcell, King Arthur and The Fairy Queen. The Concert is a small period chamber orchestra, even by early music standards. On this tour, Bicket leads from the keyboard (harpsichord and organ), with just six strings, three winds, two trumpets and theorbo/guitar, mainly as continuo. This ensemble is not about power, but instead about the power of expression. And with Scholl, they found a soloist to match their musical intensity. Instrumental introductions by two of Purcell’s contemporaries began each half: to open the afternoon, a sonata for trumpet by Heinrich Biber. Any performance by a natural (valveless) horn lives on the edge: the fragile nature of the trumpet challenges the best musicians. Mark Bennett’s flawless playing was a delight. Scholl and the ensemble then dove into selections from King Arthur, one of Purcell’s great successes. Deemed a “semi-opera” because the entertainment was a mix of spoken dialogue, instrumental sections and sung text, King Arthur does not recount the Round Table adventures that we know, but blends mythology and other Arthurian legends about the king and his exploits. The story matters little out of context, but the music retains its ability to communicate. Two selections stood out: the previously mentioned Music for a while (which Scholl later repeated as an encore), posing music as a temporary harbor from some truly terrifying possibilities; and What power art thou, sung by a spirit of winter, roused from his slumber and resisting revivification in a haunting, staccato selection wherein each syllable of the text takes one breath from the singer. Scholl’s instrument is dark, which is expected from male sopranos, but also facile, not always a given. Like the best musicians of any instrument, he communicates with intense believability. He internalizes the feeling in his lyrics, and brings the moment to life. Excerpts from The Fairy Queen filled the second half—not the queen of Spenser’s creation, but Shakespeare’s, from A Midsummer Night’s Dream. A sharply delivered Passacaglia from Georg Muffat, with a superb violin duel between Matthew Truscott and Walter Reiter, introduced the selections. Highlights abounded, but a break from the opera text, when Scholl sang the mournful Lament from Purcell’s Dido and Aeneas, stood out. The English Concert performs with the confidence that comes of solid preparation. Although Bicket’s onstage conducting was modest, as fits the demands, his leadership was evident in the group’s cohesive music-making.